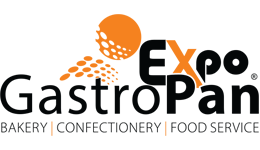 Boro-Info Group has built its reputation on highly appreciated brands such as “Brutarul-Cofetarul” and “Gastromedia” technical journals or “GastroPan” International Exhibition. In the last 17 years, these brands became valuable connecting points between suppliers, producers and operators activating in the bakery, confectionery, milling, chocolate, ice cream, food service and hospitality industries. Starting in 2009 under the name of Expo Pan, the specialized trade fair came as a natural result of the complex business activity that Boro-Info has developed in all areas of the milling and bakery industry, as well as of the need for creating a framework that allows suppliers and producers to meet in order to exchange offers, know-how and testing of innovative equipment and ingredients. Organizing annually the GastroPan International Exhibition has enabled specialists visiting the event to get in direct contact with the suppliers and to find out about the most suitable solutions for their business and the latest international trends right from experts in the fields of bakery, confectionery, ice-cream, chocolate as well as hospitality and catering. Continuous interaction with specialists has always provided us with essential information about the reality on the market as well as about the challenges specialists have to face in practice. The lack of opportunities for specialists who want to improve professionally was a common problem of all the sectors served by Boro-Info, and following the identification of this problem the team started a new project: professional training courses for specialists. The team agreed that it was not enough to see pictures and read articles about the available innovations, so Boro-Info came up with a new idea and a new offer to its readers: visits to the major European exhibitions and workshops, exchanges of knowledge and experiences with international suppliers. So Boro-Info started to organize visits to the most important international exhibitions of technologies (Sigep, Host, IBA, Europain, Sudback etc.) for groups of Romanian bakers, confectioners and entrepreneurs in the dedicated fields giving them the opportunity to see and test equipment at the stands of foreign suppliers. 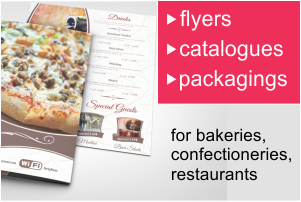 Besides editing the two magazines, Boro-Info designers dedicate their knowledge to help bakeries, confectioneries and pastry shops get more visibility on the market and develop their own visual identity by creating logos and advertising for these businesses. Throughout the 17 years of activity numerous entrepreneurs have turned to Boro-Info Group’s – Boro-Info Branding. Starting from getting to know the business, branding teams have offered entrepreneurs their expertise in finding the characteristics that make their business unique and recommends it to consumers. Designing logos, business cards, various documents – letterheads, envelopes, templates for internal documentation, etc. – but also dedicated websites, leaflets, catalogues, menus and posters, all design services are accompanied by counseling and finding the best communication strategy with the target market. Extending the activity of Romanian companies abroad, but also the fact that more and more foreign companies enter the Romanian market through local distributors or branches made necessary to transfer of a considerable amount of information. 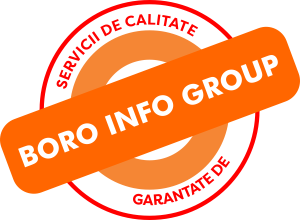 The translations of the technical documentation of products, catalogues or working procedures facilitated the transfer of this information between Romanian entrepreneurs and managers and those from outside Romania.